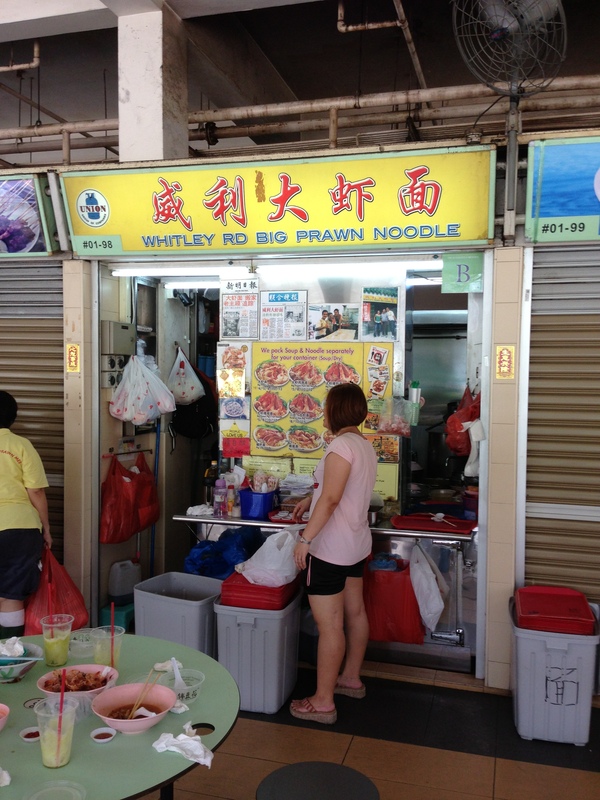 This is what is considered the other Big Prawn Noodle stall at Old Airport Road, Whitley Road Big Prawn Noodle. To order here, you have a sheet, in which the aunties mark down exactly what you want. Prawns? 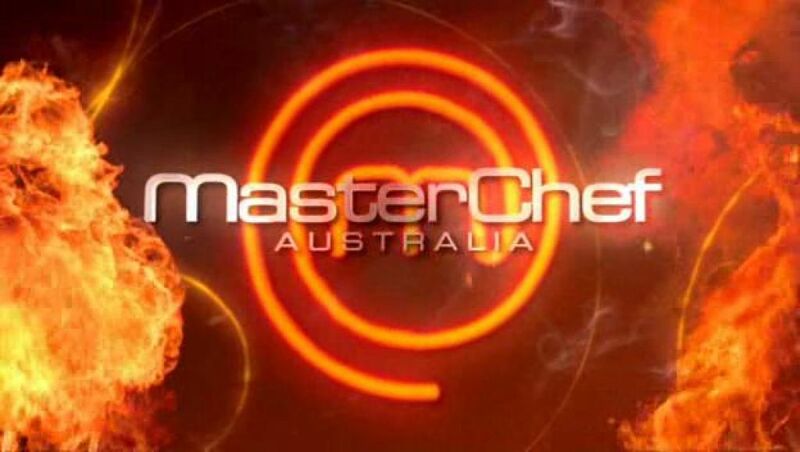 Big Prawns? Pork Rib? Pork Tail? Mee? Mee Fun? etc, etc, etc. It can be very fast and very intimidating at times. But, you get it done. 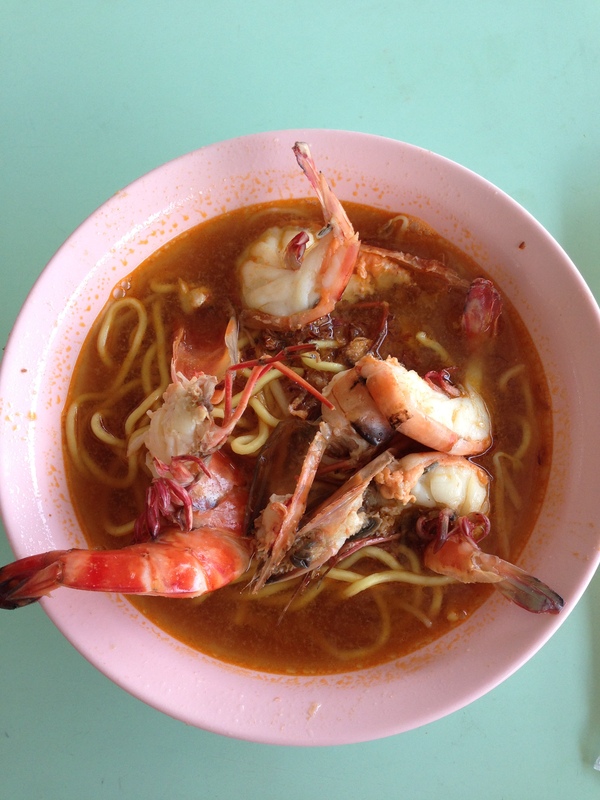 I always go for the normal soup, mee and Big Prawns. I actually do like it dry with a Mee/Mee Fun mix, but I rarely order it like that. I don’t know why. I’ll have to try next time. The Prawns are nice and juicy, good flavor. Unfortunately, to me, the broth is not so tasty. Normal run of the mill broth with MSG. It kind of ruins it a little for me. I go for Albert Street over this stall all of the time. 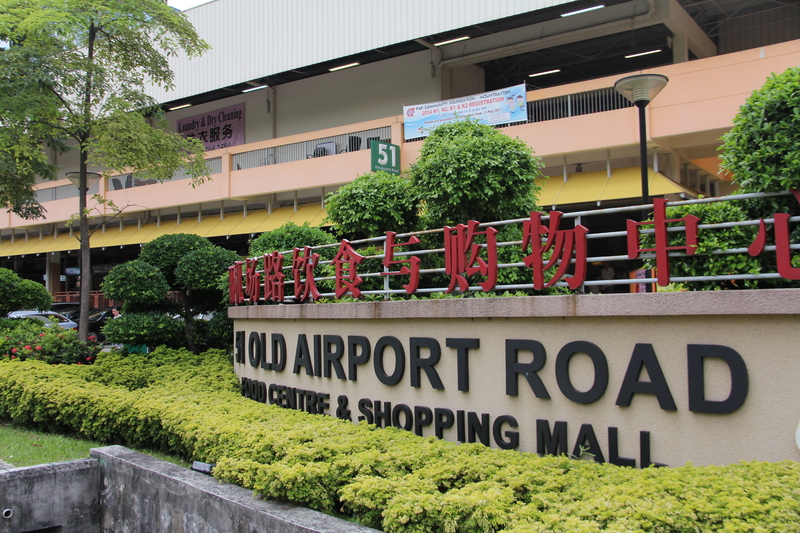 Posted in Old Airport Rd, Prawn MeeTagged Old Airport Rd, Prawn MeeBookmark the permalink.